We desire to develop men into a culture of learners who are growing mature in mission (loving God, loving others, and serving the world) through transformational relationships. If you’d like monthly email updates on what’s happening in men’s ministry, please subscribe to our newsletter by clicking here. **You’ll be asked for your email address and other contact information, then please make sure you choose the “Mens Newsletter” check box. Trust in God, and obedience to him, are difficult. Trust and obedience become especially difficult in times of suffering. Join us as we tackle what Peter writes to believers scattered among those in an unbelieving culture, encouraging them and us to live by faith in God through difficult times. Contact Pastor Craig for more information. The Conquer Series is a powerful cinematic study that is transforming the lives of men around the world. This 10 week, action packed video series, contains Biblical teaching and proven principles to help men conquer sexual impurity and walk in freedom. Whether you are faithfully staying the course or whether you are secretly struggling with sexual temptation, the lessons in this DVD curriculum are something every man will benefit from. Cost is $25.00. Contact Leeora for more information. Outfitted – 2019 Bethel Men’s Conference – February 22-23. Click here for more details. 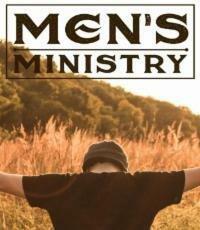 For more information about any of our men’s activities, please e-mail Leeora or call 701.232.4476.